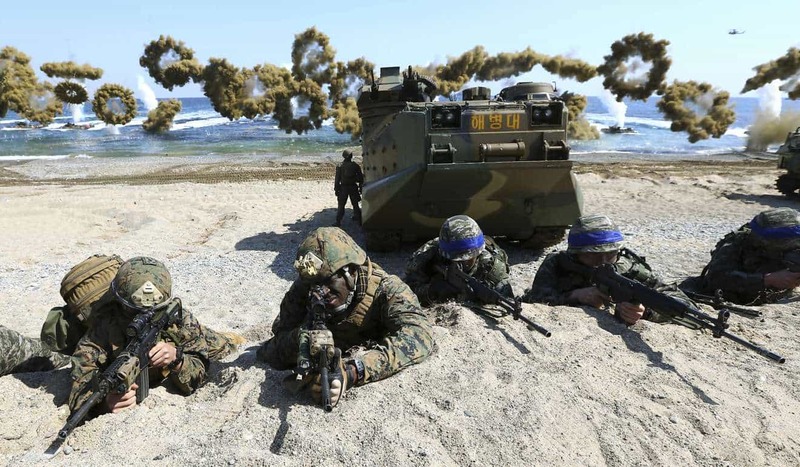 American and South Korean armed forces will start the joint “Ulchi-Freedom Guardian” war games today amid tensions with North Korea. Pyongyang is likely to retaliate with its own show of force. Following Kim Jong-un’s testing of new missiles and a heated war of words with Donald Trump, the US military has sought to reassure regional allies in South Korea and Japan. Ulchi-Freedom Guardian, in which 50,000 South Korean troops and 17,500 Americans will participate in primarily computer simulated drills, marks the latest show of America’s commitment. In recent days, Kim and Trump have scaled back their taunts, with the North Korean leader tamely saying he will assess the actions of the “foolish Yankees”. Yet, military muscle flexing could tempt Trump to taunt North Korea, and will certainly lead Pyongyang to demonstrate its own might. The exercises’ effect on tensions will largely depend on Mr Kim’s response. Most likely he will test launch intermediate range missiles into the ocean, as he did last year. A more aggressive action would doubtless raise fears—both of Pyongyang’s bellicosity and Mr Trump’s response. 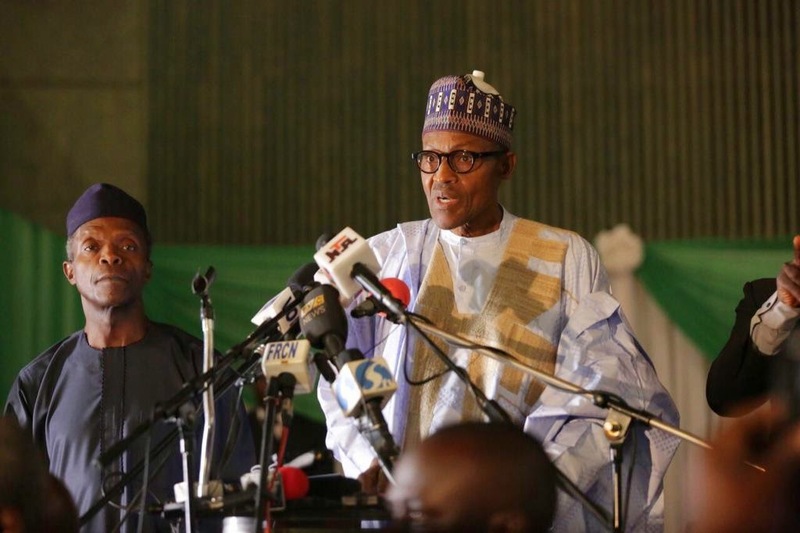 Nigeria’s absent president, Muhammadu Buhari, will address the country today after returning from London on Saturday. The former general has been battling an unknown medical condition for the past 12 months and has sought treatment in the UK on multiple occasions. Vice President Yemi Osinbajo has taken the reins for much of 2017—Buhari has only spent 75 days in Nigeria this year. Osinbajo has been commended for his hands-on approach to the presidency, pushing for reform of Nigeria’s woefully mismanaged ports and holding talks with troubled communities in the Niger Delta. Indeed, Mr Osinbajo may well be setting himself up to run for the top office in 2019, although Buhari’s aides insist the president is “good enough to continue”. The president’s extended absence sparked protests in Abuja earlier this month, an ominous sign for stability in Africa’s most populous country. Mr Buhari’s return should calm tensions in the short-term. But further absence or, worse still, an announcement that the former military leader will step down, will drive instability—a major concern for a country mired in recession and fighting insurgencies on multiple fronts. 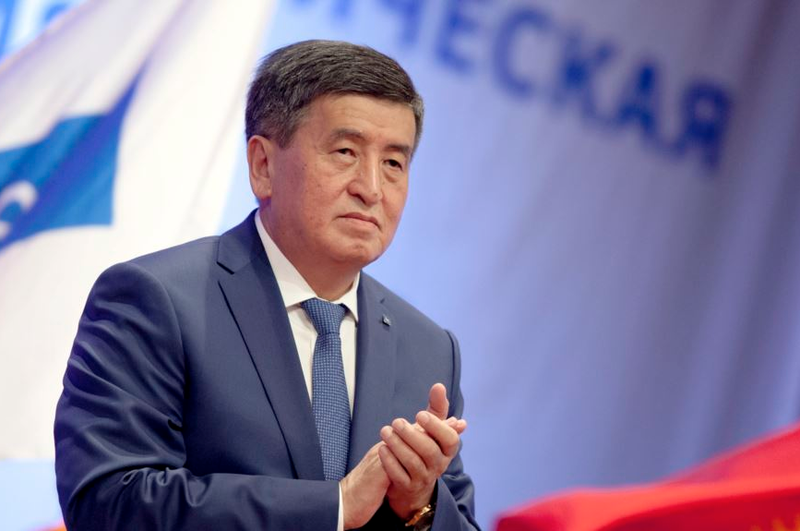 Current Kyrgyz Prime Minister Sooronbai Jeenbekov will step down today to begin his presidential campaign. The only competitive race among Central Asia’s strong-man kleptocracies, the November 19 vote will feature six major parties and 35 candidates. Jeenbekov is loyal to the current administration, whose widespread corruption may have lost them public trust and their 63% of the 2011 election’s votes. Incumbent President Amalbek Atambayev, legally independent from his former Social Democratic Party of Kyrgyzstan (SPDK) since his election, will step down on December 1. But corruption charges brought against one of the country’s opposition leaders—who was sentenced to four years in jail last week—suggest Mr Atambayev is attempting to influence the race in favour of his prime minister. The president himself is suspected of syphoning off $1.8 billion from China’s One Belt, One Road infrastructure investment program. As anti-corruption protests ousted two former Kyrgyz presidents in 2005 and 2010, regional investors fear popular instability if the SDPK maintains power in October’s vote. Turkish President Recep Tayyip Erdogan will hold talks with Jordan’s King Abdullah in Amman today. Finding a solution to the conflict in Syria is expected to feature prominently. While the two states are aligned in their desire to see peace in Syria, tension remains around regional Islamist politics and divides the countries on a strategic level. A deal struck between Turkey, Iran and Russia in May inspired four “de-escalation zones”—in northern Homs, northern Damascus, Idlib province and along the Jordanian border. The ceasefires have proved effective at reducing violence and easing the flow of refugees to neighbouring countries. 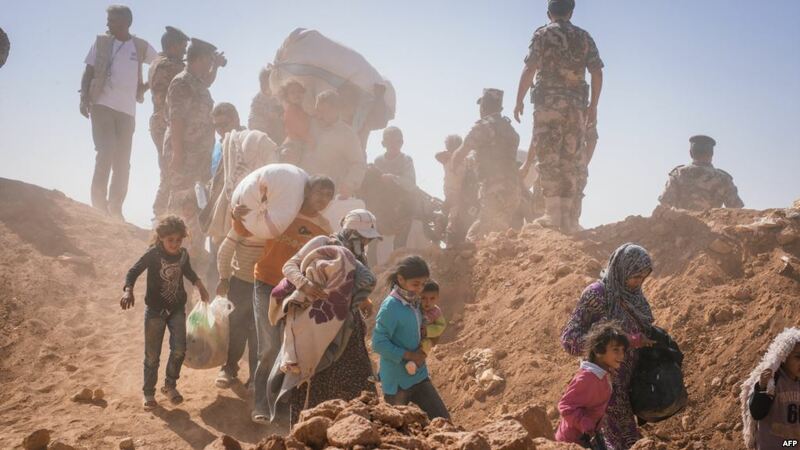 Jordan has been hit hard by the war in Syria; more than 1.3 million refugees now live in the kingdom, something King Abdullah says has put Jordanian society “at boiling point”. Abdullah, under his own domestic pressure by religious reformists, has not always backed Turkey’s Islamist proxies in Syria. Jordan is also aligned with the Saudis and the (secular, authoritarian) Egyptian government against Turkey’s pro-Islamist ally, Qatar. While de-escalation is necessary to quiet the border, this meeting will not change Jordan’s long game against Islamic politics. The Macron government is expected to unveil its plans to reform France’s labour laws sometime this week. No specific date has been set. Macron’s labour minister, Muriel Penicaud, says the changes will “loosen the rules while also ensuring safeguard for employees”. One such change is expected to propose making it easier for large multinationals to lay off workers, a move designed to attract foreign investment. 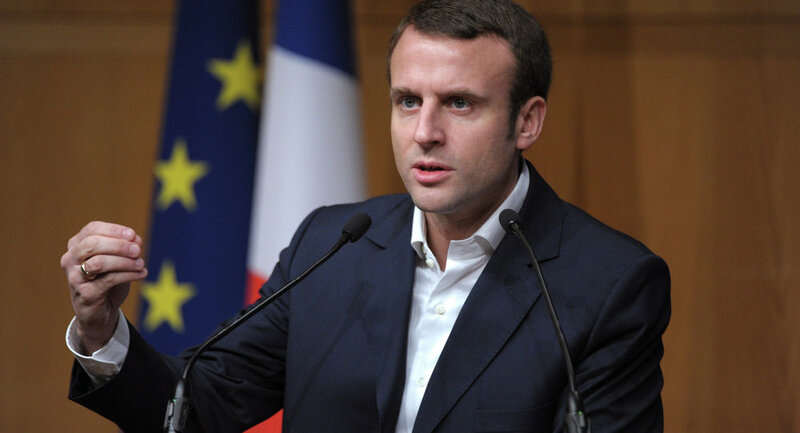 Passing labour reforms is being seen as one of Emmanuel Macron’s most important political tests; CFE-CGC—one of the country’s largest labour unions—has already denounced any pro-business reform proposals. Regardless, Mr Macron and his political allies hold a large majority in parliament and should be able to push legislation through so long as they remain united. Thai authorities are expected to announce that the economy grew 1% during the three months to June (an annualised rate of 3%). If confirmed, the figures would represent a slight slowdown from the first quarter, when the economy grew at 1.3%—its fastest rate for four years. A reduction in private investment and the slow implementation of a $67 billion infrastructure investment plan are being cited for the cooling growth figures. While Thailand’s growth is the slowest in Southeast Asia, it’s also the region’s most advanced economy. A delegation from the World Bank will hold talks with counterparts in Egypt, who hope to secure the final payment of a $3 billion loan deal agreed to in late 2015. The $1 billion installment is earmarked for development projects in northern Egypt aimed at improving the business environment and creating jobs. Egypt’s public finances are in disarray, a situation that was exacerbated after the 2011 revolution. The government currently spends $10 billion a year more than it receives and owes foreign creditors more than a third of its total GDP. An inefficient tax system, corruption and economic mismanagement have been blamed for the state of affairs.